George Michael was spotted outside his London home with large scars on the back of his skull as well as a large scar on his left elbow, following his near fatal crash in May. George Michael has suffered permanent damage from his near fatal car crash. The 'Careless Whisper' hitmaker was spotted outside his London home with large scars from a deep gash on the back of his head as well as another large scar on his left elbow. The photographs acquired show the damage after he fell out the passenger seat of a Range Rover on a busy M1 motorway near St.Albans, close to London, in May. The 50-year-old singer was airlifted to hospital - where he remained for two weeks - after suffering head injuries, cuts and bruises. 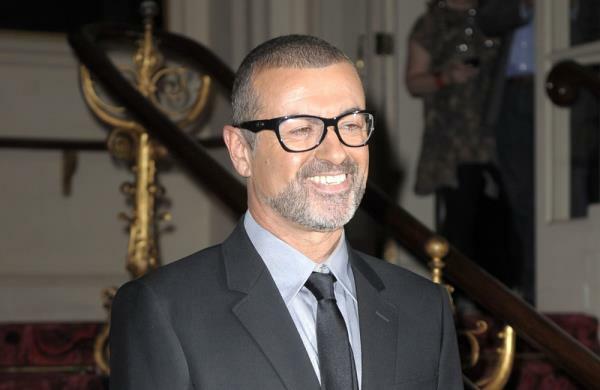 George is now said to be "on the mend" and is maintaining positive spirits following the tragedy. A source the People newspaper: "George is enjoying life, a few scratches but he's glad to be alive." The crash follows an incident in 2010 where the star received an eight-week jail sentence for crashing his Range Rover while under the influence of cannabis. The scarring is the latest in a string of health troubles for the singer after he nearly died as a result of contracting pneumonia in November 2011.